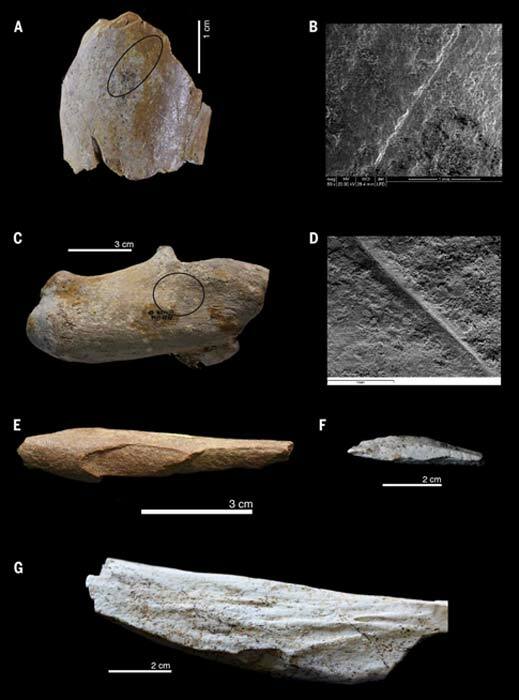 A set of prehistoric stone tools and slaughtered animal bones was discovered in 1992 in Ain Boucherit’s archaeological site on the northeastern Algerian plateau, now dated to 2.4 million years old. This dating directly challenges the current evolutionary paradigm that East Africa was “the cradle of humanity”, because they are about the same age as the oldest known tools found in Gona, Ethiopia, dating to 2.6 million years old. The research was published in the journal Science and an article in Nature describes that “The oldest known widening stone tool technique, called Oldowan, is believed to have occurred in East Africa for about 2.6 million years ago and then spread throughout the continent. “But this new discovery suggests that tool production could” have become independent in different parts of Africa “. These new findings suggest that hominins inhabited North Africa about 600,000 years earlier than previously believed, and according to an article in The Independent ]it also means that “human ancestors may have gone as people far earlier than imagined”. According to Professor Mohamed Sahnouni at the National Research Center for Human Evolution in Spain, who led the research, “One hypothesis is that our ancestors quickly brought stone tools with them from East Africa and into other regions. Another is a” multiple origin scenario “there early hominids created and used tools in both eastern and northern Africa. “” Evidence from Algeria shows that the cradle of humanity was not limited to only East Africa. Rather, the entire African continent was the cradle of humanity, “added Professor Sahnouni.